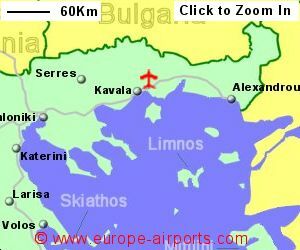 Find and compare the best prices from a range of well known car rental companies at Kavala Airport. This is a free to use facility, enabeling you to book direct with the company quoting the price. 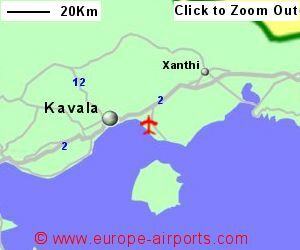 Kavala airport was built in 1981 but has been enlarged since then. It became International in 1988, and 1992 was given the name Megas Alexandros (Alexander the Great). Now being jointly managed by the Fraport Group, improvements to the airport are planned. Faciities at the airport include a cafe/restaurant, shop, 2 ATMs, and FREE WiFi Internet access. 338,000 passengers passed through Kavala airport in 2017, an increase of 22% from the previous year.